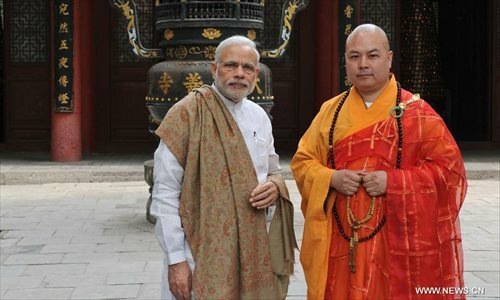 Indian Prime Minister visits the Daxingshan Temple in Xi'an, capital of northwest China's Shaanxi Province, May 14, 2015. 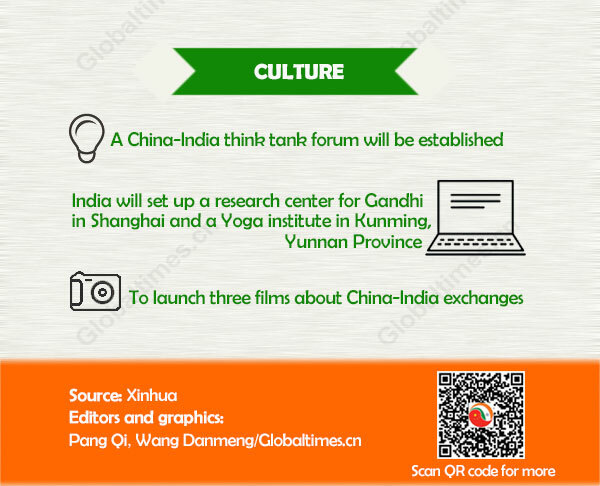 Though it joined the Asian Infrastructure Investment Bank (AIIB) as a founding member, there are suspicions among some Indian scholars that the bank will serve as an instrument of Chinese foreign and strategic policy. Modi is trying hard to attract foreign companies to invest in India. Wherever he goes, he emphasized how favorable India's environment is for foreign investments in the field of manufacturing. 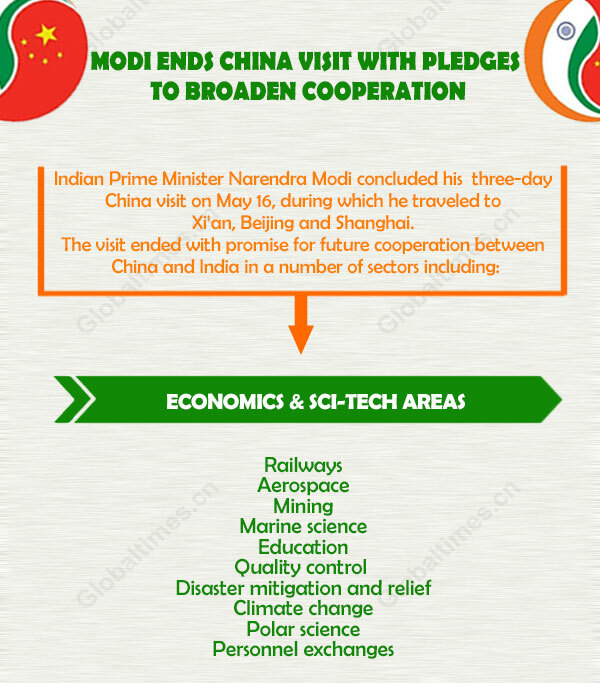 Can Modi's visit upgrade Sino-Indian ties? Due to the Indian elites' blind arrogance and confidence in their democracy, and the inferiority of its ordinary people, very few Indians are able to treat Sino-Indian relations accurately, objectively and rationally. 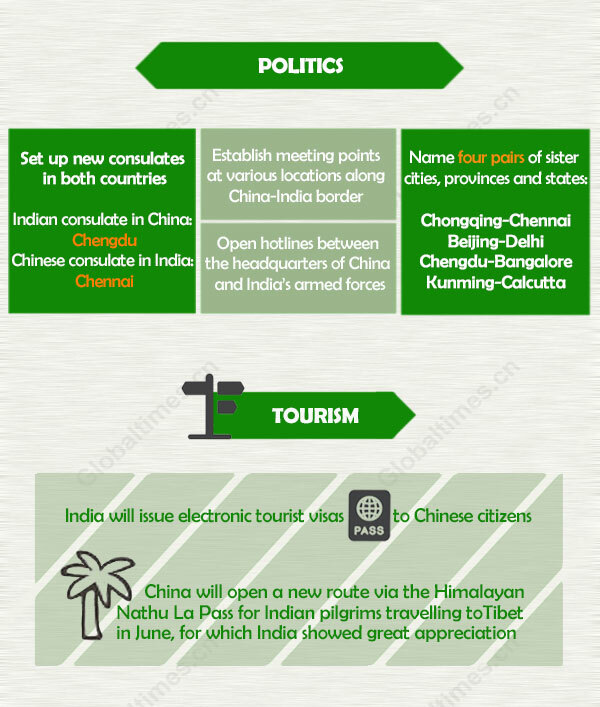 I reject this idea that China and India are natural rivals. Yes, there is competition in many areas, but that is not to be afraid of. Competition does not mean confrontation or conflict. In the case of Modi’s visit, we can expect progress on two fronts that could help expand the areas of cooperation and avoid needless conflicts. The first area is trade and investment. Compared with trade, investment might be more promising. 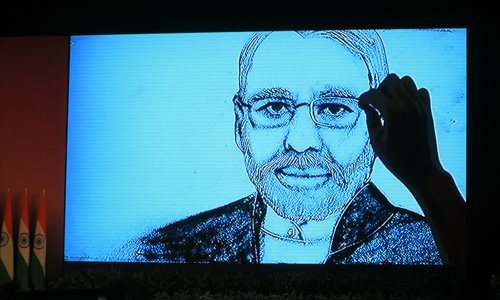 Some users invited Modi to visit their hometown, while some wondered about the prime minister's ability to speak Chinese, it said. A social media savvy leader is well adopt at making use of Twitter back home and he is expected to step his Chinese tweets more once his visit draw close. 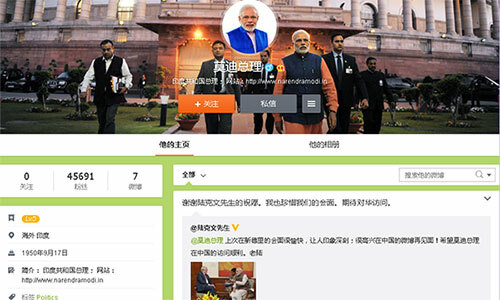 Officials here expect that like elsewhere in the world, Modi’s social media outreach in China was expected to enlarge and draw far bigger response. Experts say Modi must bridge the deficit by seeking greater access to the Chinese market, with the two sides targeting annual bilateral trade of $100 billion this year. A marker of how positive bilateral relations were was the way Indian media have lately reported on Sino-India relations. Looking forward to visiting China from 14-16 May to boost friendship between our 2 ancient civilizations & 2 largest developing nations. Honoured that Mr. Xi Jinping invited me to Xi'an in his home province & a land associated with Xuan Zang, who visited India. In China I will visit Xi'an, Beijing and Shanghai. I eagerly await productive discussions with President Xi Jinping & Premier Li Keqiang. I am confident my visit will lay the foundation for further enhancing economic co-operation with China in a wide range of sectors. I also look forward to meeting the captains of industry in Shanghai & sharing with them the wonderful opportunities India has to offer. Am certain that my visit to China will strengthen stability, progress and prosperity in Asia. Hello China! Looking forward to interacting with Chinese friends through Weibo.